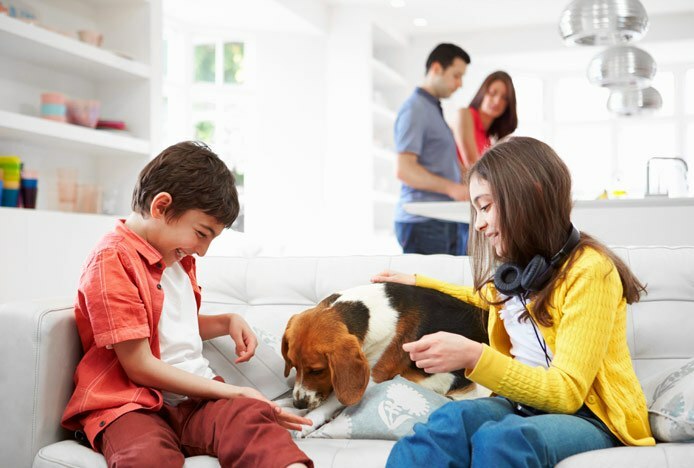 Designing the perfect family home is an exercise in combining style and creativity with comfort and practicality, and when you add children and pets into the equation it’s important that everyone has a space to feel at home in. 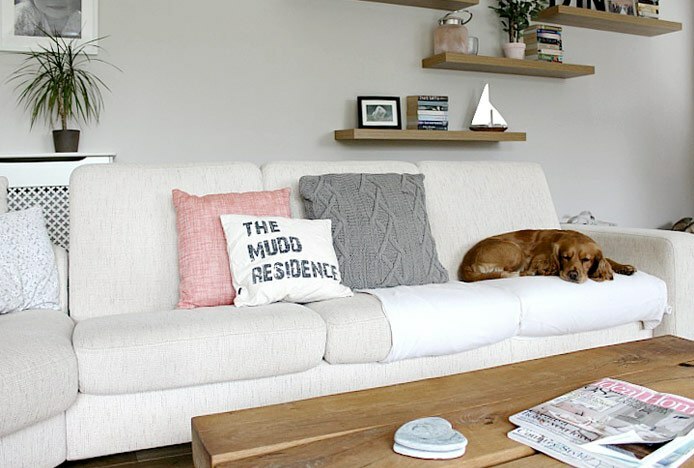 With the advice of three experts in design and family life, we have put together a definitive guide of home design ideas to help create the perfect space for you, your family and your pets - letting you achieve a practical yet stylish look. Pets are family too and we want to see yours! 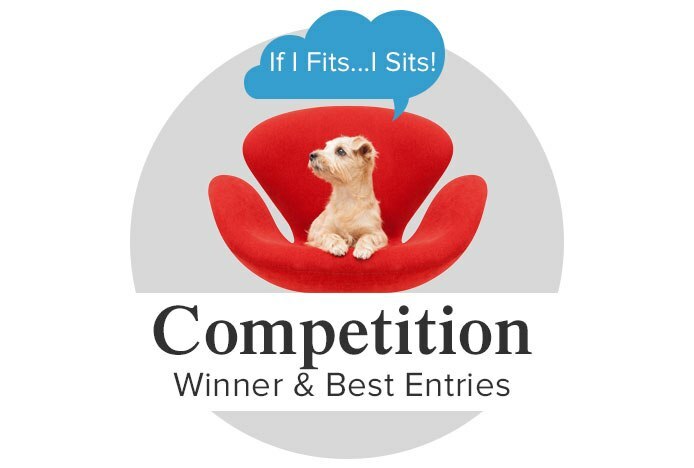 Snap a photo of your pet sitting on their favourite furniture and you could win a £300 Atlantic Shopping voucher AND a specially designed pet parcel, full of treats! As one of the most popular rooms in the house, the role of the kitchen has changed from a functional space for cooking to a place for the entire family to eat, socialise, and even get some studying or work done. With many modern homes not featuring a separate family room a multifunctional family kitchen is the perfect alternative. "Ideally my kitchen would be big, bright and have lots of space, but it's not always like that. The most important thing is to make it work for you. Maybe a round table would work better for your space than a rectangular one. Take a minute or two to plan the space to make the most of it!" When the kitchen acts as a family room there have to be areas for activities other than cooking. You might have a dining table for family dinners, while a breakfast bar with comfortable kitchen stools can double as a spot for informal mealtimes and a place for kids to do homework. In such a versatile space, it is ideal to consider cabinets with built-in food bowls and beds for pets so they can be included whilst keeping the floor clear. 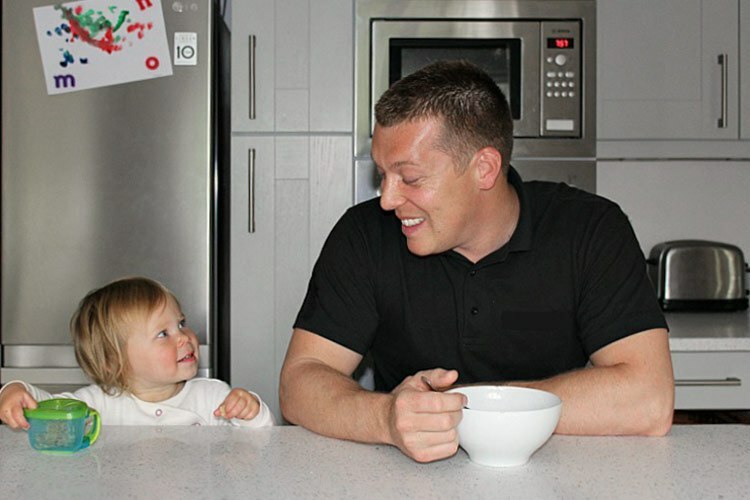 "We have a kitchen diner, which we use as the hub of our house – my husband works on his laptop whilst I’m cleaning up and our daughter’s having her lunch. We can all be together and catch up without getting on top of each other." For those with young children, or a very busy family, it’s worth investing in hardwearing surfaces. Stone and ceramic are great for flooring, and easily mopped when spills and muddy paw prints occur. Likewise, choosing stylish dining chairs and bar stools with faux leather or ABS plastic seats can provide a sleek, contemporary, and fun finish while allowing for quick and easy clean-ups. The family room should be an informal and fun space where everyone can relax and spend time together. If your family room is often filled with children, furry friends or plenty of visitors, then seating, durable furnishings and storage within your design will be important. "If you have young children you'll need to make sure you've got enough storage for books and toys. When the children are in bed, it's nice to put the toys away to give you a more grown up space, so storage is key. You'll appreciate a break in the evenings and the feeling that you've got your space back. The room has to work in many different ways when you have a family." Additionally, opt for rugs that can be washed easily when spills or accidents happen, and if you have particularly playful toddlers, you might benefit from washable wall paint. 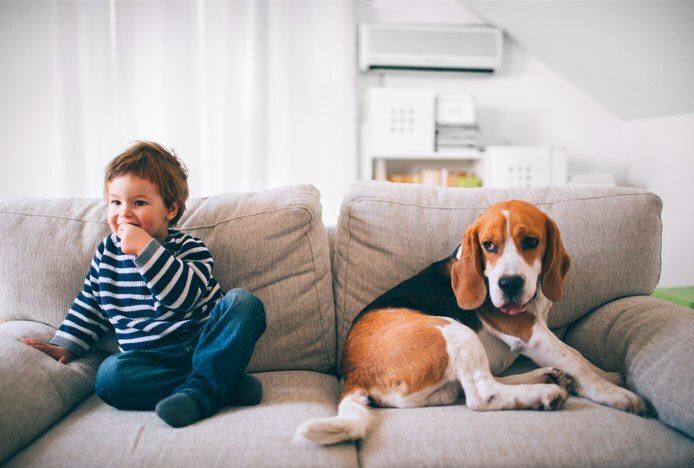 For pet owners, the removal of pet hair is something to keep in mind with your seating. Consider using a throw with your chairs or sofa, and select a fabric in a similar colour to your pets’ fur – this will hide persistent hairs in between hoovering. 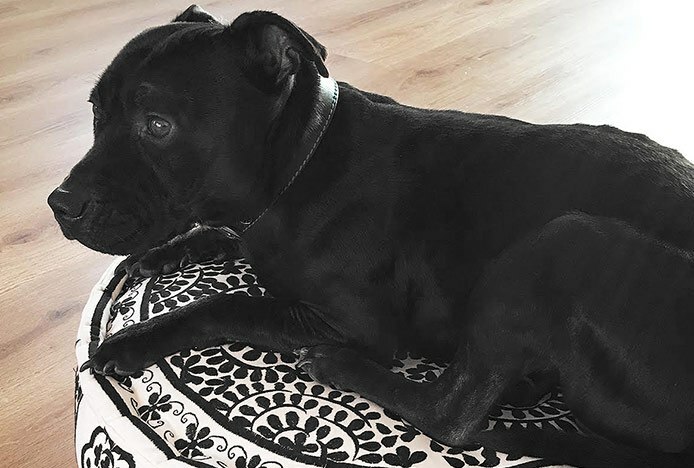 "Finding bedding for your pets which matches your decor may seem unnecessary, but having your furniture flow makes everything look and feel more homely. Being able to give our dogs somewhere to relax in comfort is really important to us." An open plan layout gives everyone their own space. Reading corners with cosy chairs, workstations, and even pet beds will get the whole house together without stepping on each other’s toes. It’s also ideal to connect the family room with the kitchen, as the cook won’t feel excluded from the family and can keep an eye on the kids at the same time. The living room needs to blend appearance with practicality. As the chosen place for entertaining visitors, it should be flexible for a variety of occasions. Why not arrange your sofas to face each other, and add tables in between to create a sociable layout that encourages conversation, rather than being focussed around a TV. Coffee tables with rounded edges are best for families with young children to avoid accidents with corners, and tables with shelves are even better for extra storage, which is vital to keep a family home organised. "We are in the middle of sectioning off our room with sofas. Creating extra uses for the room means everyone can spend time together. With the arrival of our little one later this year, a major need in our living room is more seating to accommodate all the family. So, we've been adding extra pouffes and stools which can double up as extra seating for guests." Don’t forget these spaces are just as much about the adults, so include a spot for you to relax in. An armchair in a darker colour will hide any marks from the kids or the pets, and is ideal for reading, listening to music, or enjoying a glass of wine at the end of the day. "I’ve learnt that the key to a harmonious family environment is making sure that everybody has a little bit of space to call their own. The living room for example, is a place where we all congregate together, but we tend to all have our own areas. Our dog (Max) has his own section of the sofa, which we cover with a throw, meaning that we can keep it clean and he can still feel part of the family. And the hubby and I have the other end to cuddle up on!" With a little knowledge, some inspiration and good use of the right furniture you can create the perfect environment for the entire family to enjoy in your home, which is safe for children, pets and adults to enjoy without losing its charm. As with any good home design, a truly good layout is one you’ll want to keep for years to come. With the end of the holidays looming, prepare for a year of study with our tips.. Discover how creating a mood board can kick-start your decorating project.. Discover how to create a successful lighting scheme in your kitchen or dining room..